In this video Bob focuses on what we can do to lessen the bad effects of “Stinkin’ Thinkin'”. 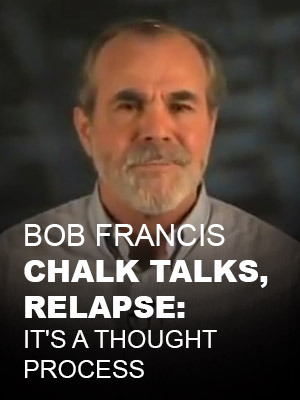 He explains that a relapse occurs way before someone starts using. Thought patterns can lead to using, or can enable us to return to recovery, without having to get a new sobriety date.